Here at HHL, we love cabbage for its low-calorie and high nutritional benefits. It’s full of vitamin C, K, and potassium! We’ve also LOVED its cancer-fighting and anti-inflammatory superpowers (and it’s deliciousness that makes it oh-so-easy to eat). Now, we’ve got even more to love! Have you ever heard of a cabbage compress? 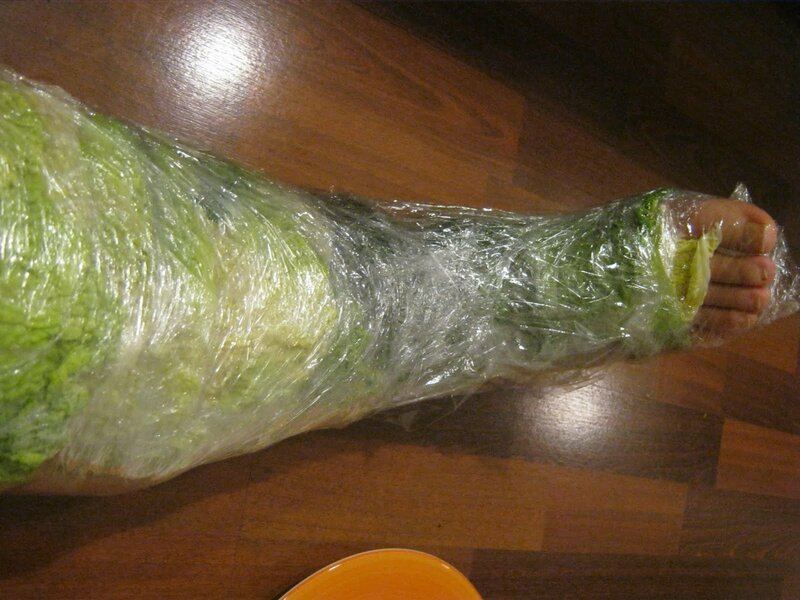 Cabbage has been used for treating swollen and bruised skin for centuries. It’s full of phytonutrients, vitamins, anthocyanins, and glutamine that contain anti-inflammatory properties, which are good for easing cancer AND joint pain! It’s been used to treat arthritis and sports injuries. The evidence has been anecdotal, but many arthritis sufferers reduce their medicinal intake by adding cabbage leaves to their treatment. How have they used cabbage? As a wrap! Peel away an outer leaf of the cabbage and wash thoroughly. Place the cabbage leaf on the counter and with a rolling pin bruise the leaf to release the juice within. Wrap cabbage in foil and place in the oven for a few minutes to warm them, but not make them hot. Place cabbage directly over the affected area of your body. Keep cabbage compress on for up to an hour. Repeat 2-3 times per day and change cabbage leaf every time. You should start to feel the benefits by the next day. Optional: To make a cold compress, refrigerate the cabbage before you begin the process above, and skip step #4. The reason we want to use red cabbage is that it contains anthocyanins (the chemical that gives red cabbage its color). Anthocyanins are known to reduce joint pain and inflammation. Both red and green cabbage are studied for their other health properties and healing effects on ulcers. Warning: Cabbage allergies are rare, but swelling or itching where the cabbage is placed means it needs to be removed immediately. Consult your doctor if irritation continues or worsens. Enjoy your new alternative medicine, and let us know how it goes in the comments below! If you liked what you read and want to hear about something new, let us know by commenting below!